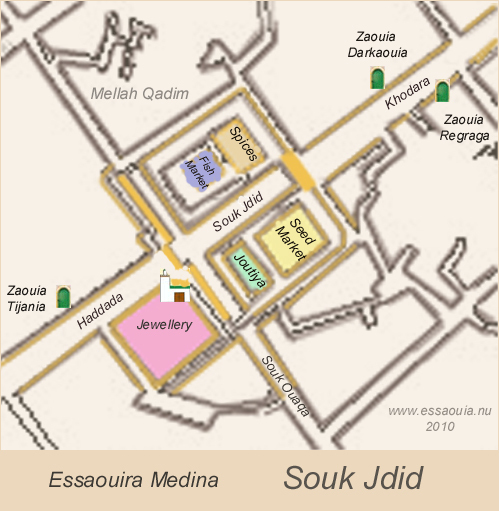 Souk Jdid is the main market place in the Medina. 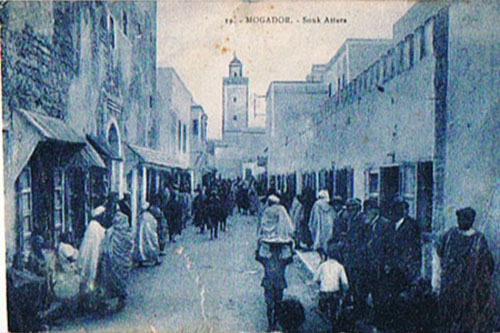 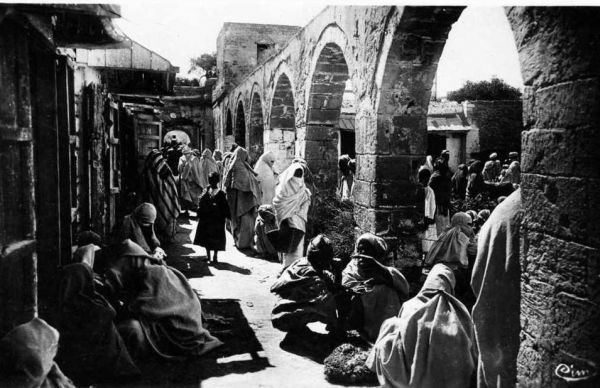 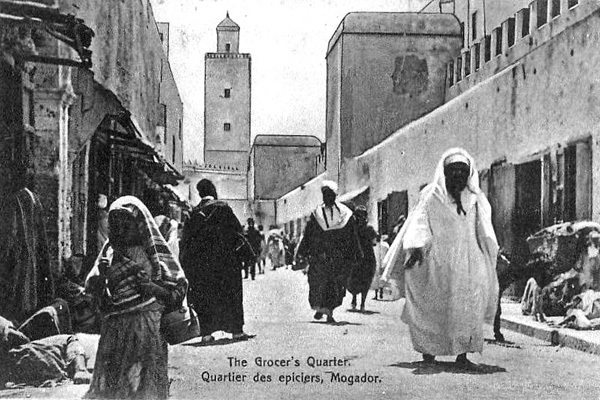 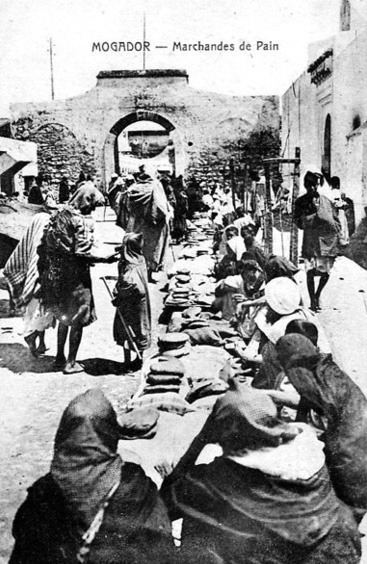 The souk is situated between Khodara and Haddada where the streets from Bab Doukala and Bab Marrakech meet. 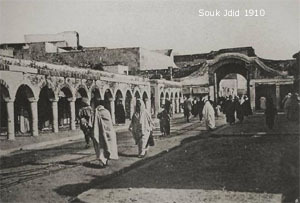 Bab Doukkala was the main door to the north to Safi (the region Doukkala) and Bab Marrakech to the east the road from Marrakech and Agadir.